Canadian based company, TransGas use the StaySafe Solution to protect their employees while travelling and working alone. Travelling on the road is one of the greatest and most uncontrollable risks workers around the world face each day. In Canada there were 1,923 fatalities and 165,306 injuries related to vehicle accidents. Many of these victims would have been at work at the time. 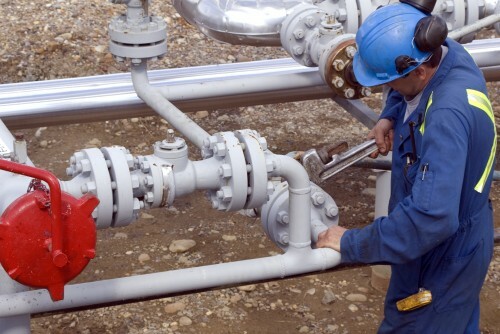 TransGas is a business dedicated to the health and safety of their employees, providing personal protective equipment and training for when they are on site. However, they recognised the unpredictable nature of travelling alone and wanted to do more to monitor their workforce’s safety during these periods as well as when working on site. While looking for a self-serving technology solution, TransGas decided StaySafe was best suited to their needs. The company were previously operating a check-in policy in which each front line operations person was expected to call their supervisor at pre-determined intervals throughout the day. A supervisor would be responsible for 8-10 employees at a time and would be expected to call an employee if they had not heard from them. This resulted in down-time where both the employee and supervisors were making several phone calls before refocusing on the job at hand. TransGas searched for a solution that was efficient and time saving with quick check-ins and alerts only being raised when necessary. StaySafe is an app and monitoring service which allows an employer to monitor the location and safety status of their lone workers when a session or alert is activated. If an employee is in need of assistance, the monitor will be alerted via SMS, email and on screen. With StaySafe’s man-down, session expiry and panic features, an alert and GPS location can be sent to a monitor even when the employee cannot get to their phone, allowing help to be sent directly to them. This is particularly helpful when travelling alone to remote locations where there may be no one around to provide assistance should an accident occur.